Please find below a list of the major new features, new improvements and bug fixes in AODocs version 43. 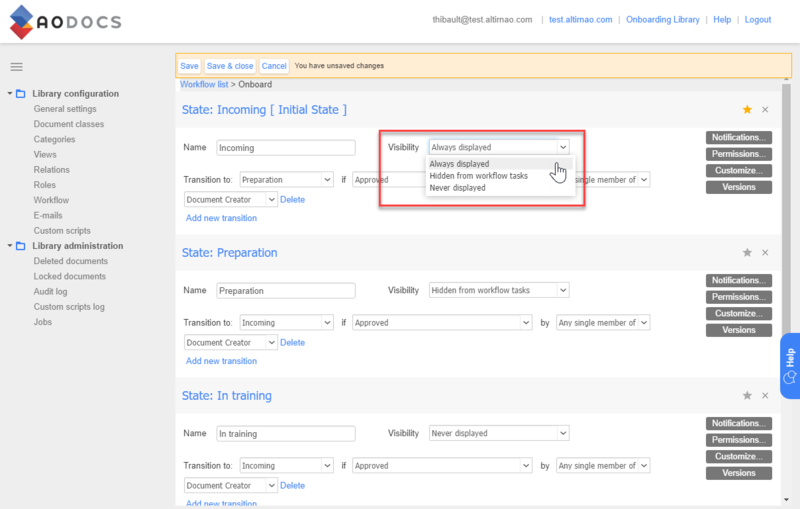 To build more complex and flexible workflows, additional settings of the workflow configuration are now available. 1. 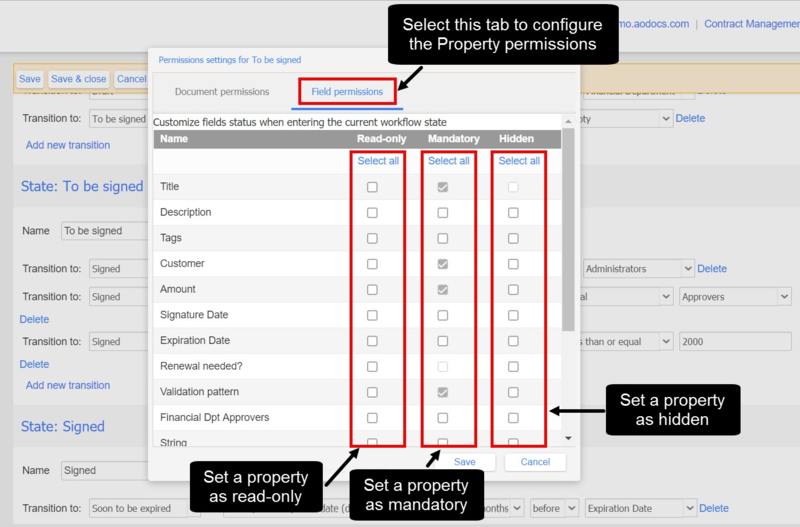 You can set your custom properties and description field as mandatory and/or hidden and/or read-only according to the document’s current workflow state. Note: An empty mandatory property will prevent the workflow validator from triggering a transition from the current state of the document. 2. You can force the workflow validator to leave a comment when executing a manual transition in the workflow. 3. 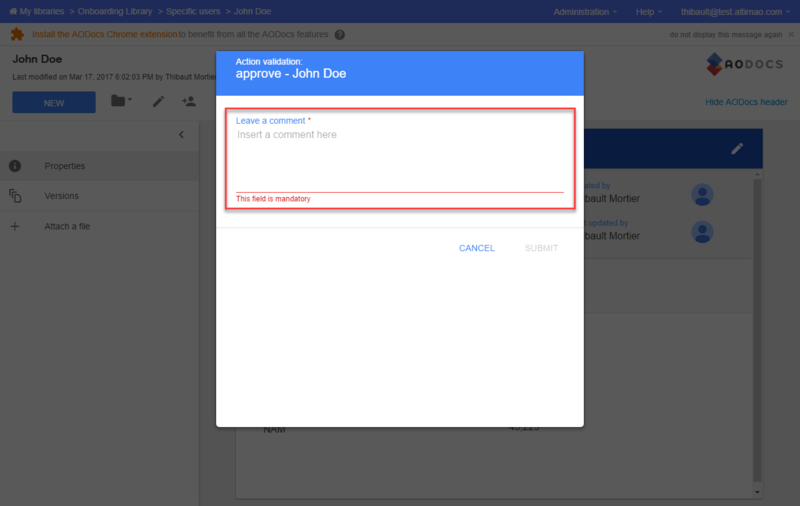 Workflow validators can leave a comment when performing a manual workflow action. 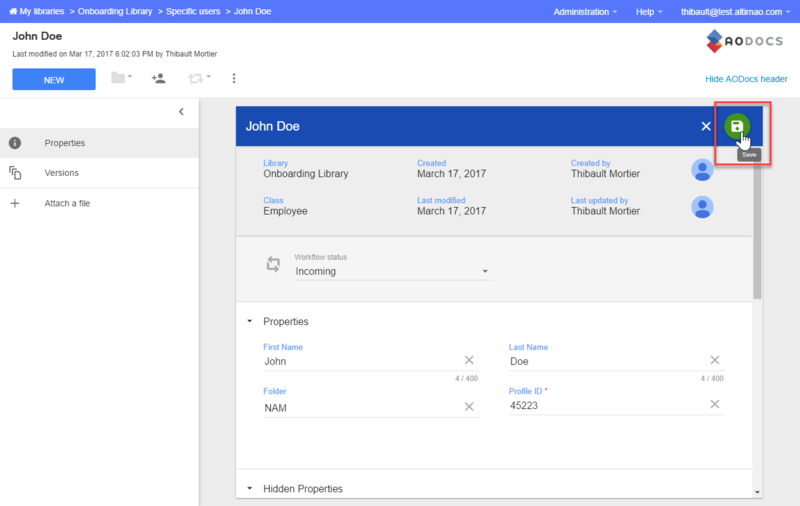 Workflow comments are displayed in the properties tab. 4. You can hide workflow states from “browse by” and filter panel of a view. It will help you manage your technical workflow states. 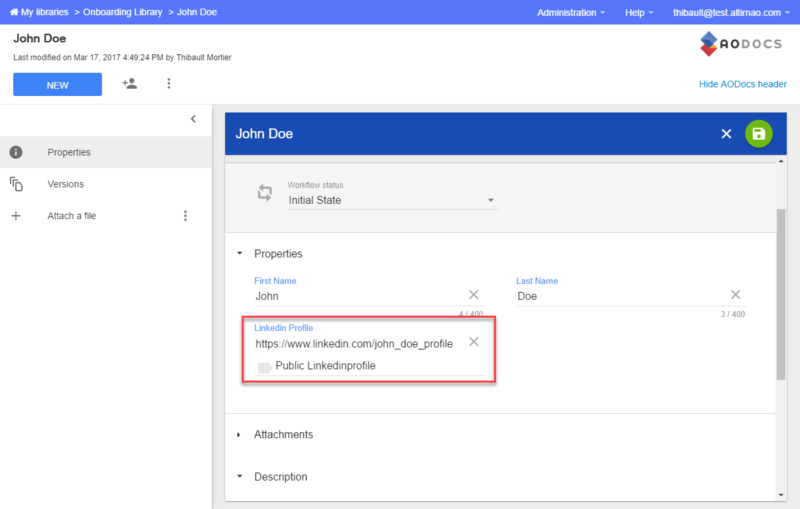 With this new feature, attaching a file as a contributor of a Document Management library is simpler and quicker. 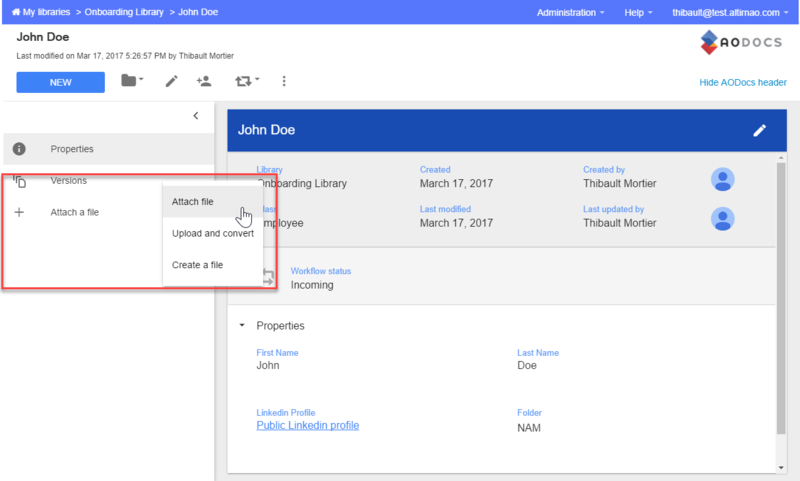 From the sidebar of the document, you can now attach one or several files from your Drive or from your computer or create a new Google file. 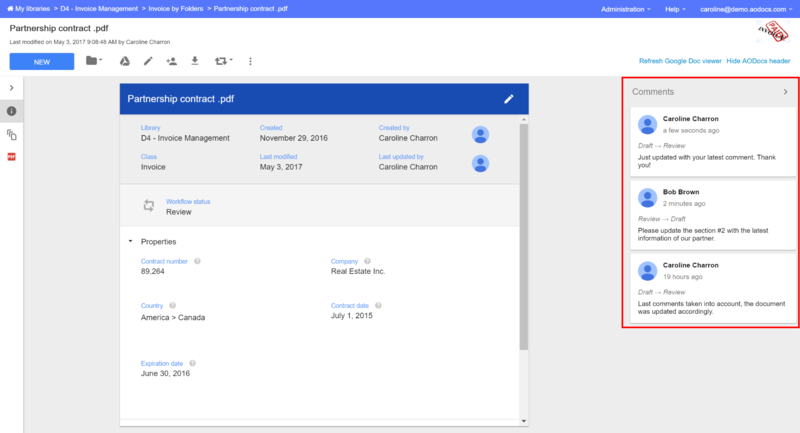 Coming soon: In next release, you will even be able to drag and drop files to attach them to your document! 1. The design of the “Save” button has changed. 2. 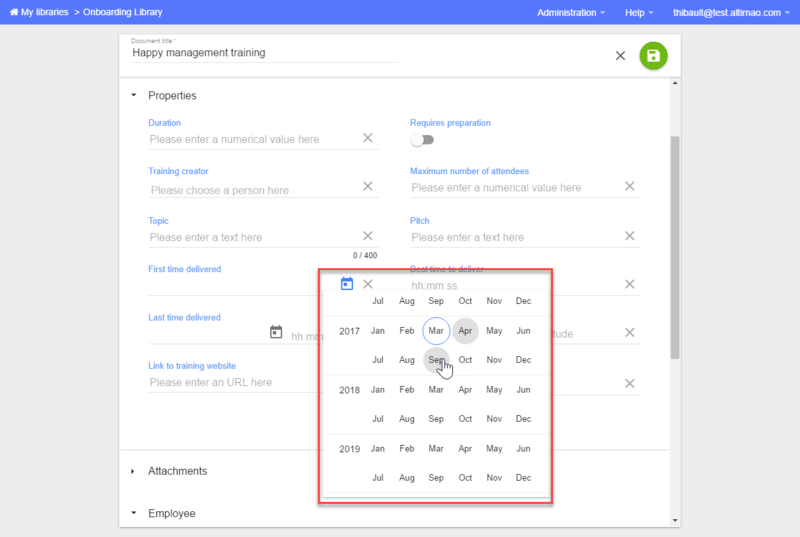 When choosing a date from the calendar picker, you can find the right date by choosing the month and year without navigating month by month in the calendar. 3. You can add a display text for URL fields. 4. When filling the properties of a document, you can quickly identify the type of value you need to type. 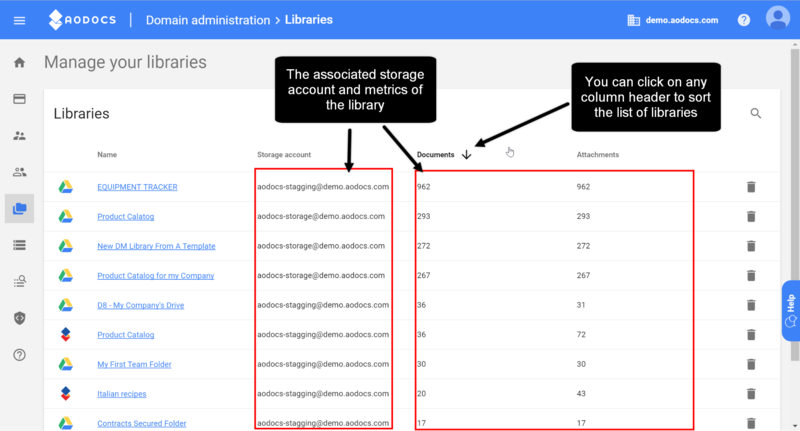 As a super administrator on AODocs, additional metrics about the number of documents and attachments are available for the “Library Management” section. When exporting documents from Team Folder to someone’s My Drive, the explicit permissions applied to the document in the library are kept. The document template name is now unique across the entire library. In Team Folder or Secured Folder libraries, it is now possible to create a document template with one attachment. Hidden properties displayed in the view will no longer be displayed to non-administrator users. 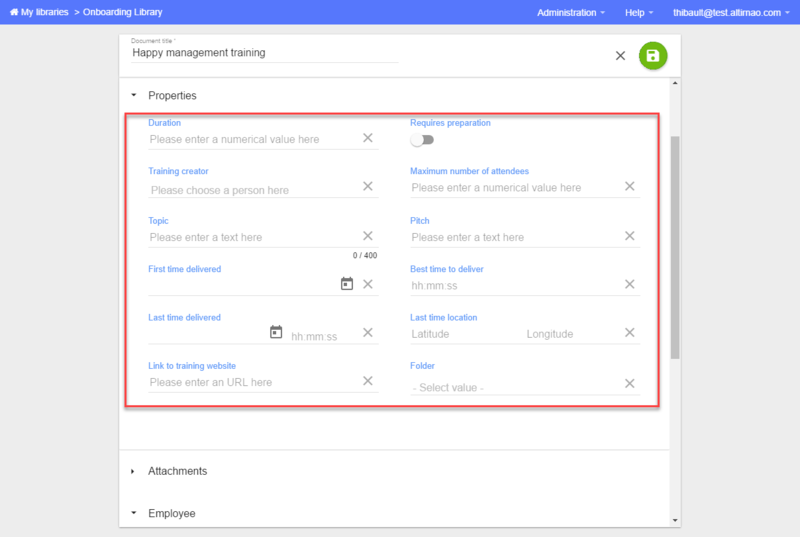 As an administrator of the library, the value of the hidden properties will be displayed without editing the document. Views can now be configured to display a “browse by” document class when the view displays several document classes. The “Create” tab in the AODocs homepage has been remodeled. The list of storage accounts available to create a new library is now sorted alphabetically as well. The name of the standard roles (Administrators, Contributors, Readers) in library administration screen are no longer customizable. In addition “Document creator” is no longer listed there. The action “revert to this version” is no longer available when previewing a previous version of the document. Following customer’s feedback on the “No value” wording for read-only and empty fields for contributor when editing a document has been removed. As in release 41, the field will disappear when editing the document. With this release, the AODocs Legacy editor will be unavailable for selection in the class Editor. Existing classes with Legacy editor will still work. After manually switching to Configurable editor, there will no coming back to the Legacy editor. Please raise urgently any gaps you may find. containing no custom properties defined (except Folder and Tags).